A quitclaim deed, sometimes written as quit claim deed, is a specific kind of deed that transfers ownership rights to a piece of real estate or real property. Quitclaim deeds serve a limited purpose as they can only convey the grantor's interest in the real property and do not provide any warranties or covenants. Talk to a real estate lawyer in your area if you need legal advice about quitclaim deeds. What goes into a standard quitclaim deed differs from state to state. Essentially, the deed must include the name of the person conveying the interest (a grantor), identify the property being transferred, identify the consideration (the money or valuable item used to purchase the property) conveyed to the grantor from the purchaser and state that the grantor gives up or "quits" any claim to the property she might have. Quitclaim deeds must not only contain specific information but must meet state signature and verification requirements. In general, the person signing a quitclaim deed must do so before a public notary. 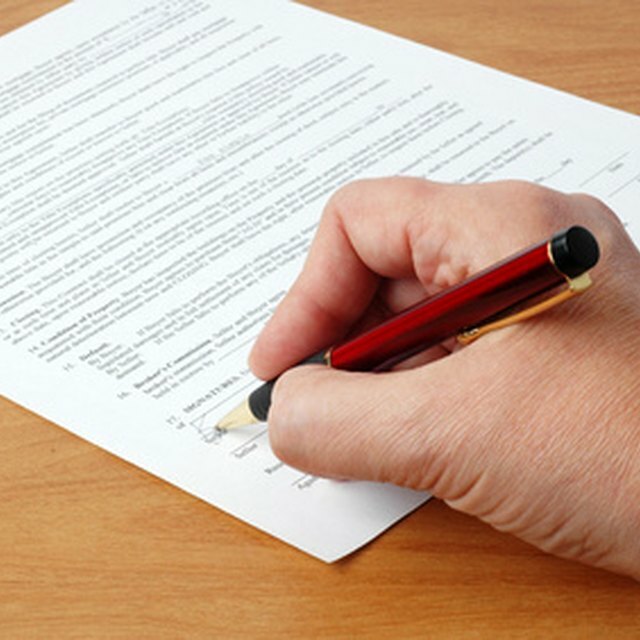 A notary ensures that the person signing the deed is actually the person he claims to be. The notary does not in any way determine the truthfulness of the claims the grantor is making but merely acts to ensure the document is signed and sworn to properly. Quitclaim deeds must usually be filed with the county real estate recorder's office in the county or counties where the property is located, though the actual government office may differ depending on the state in which you are. You must also pay a fee to file the quitclaim deed, though the filing fee also differs among states and even among counties in the same state. Quitclaim deeds are often very simple forms that you can get from a variety of sources. Some states have standard forms provided for in the state statutes, though even in states that have such forms you don't necessarily have to use the statutory form for the quitclaim deed to be valid. As long as the deed you use conforms with the requirements imposed by the state laws, you can use your own, have a lawyer write one for you or find one available commercially.